As a Client Services Account Executive, you will develop new business opportunities with GSIs, large global enterprise and high-value clients. You will lead new contract engagements and ensure contract client transitions are smooth with service and delivery maintained at the highest levels. This is a high-profile role where business development and a customer-centric approach are essential. You will represent Frank Recruitment Group at a group level, and so will be expected to be able to deal with multi-brand requirements within this client base. 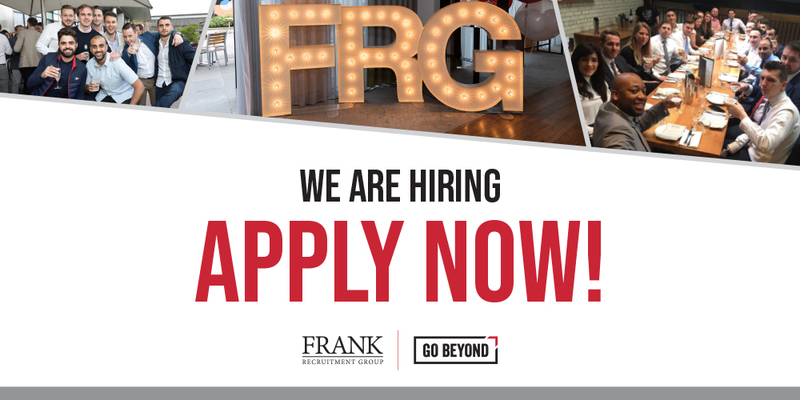 While undertaking your role, you will be expected to be a brand ambassador for Frank Recruitment Group. You will need to provide clients with a high level of customer service at all times; this will involve representing yourself as a credible, professional, industry expert that always gives accurate, informative and timely advice. You will also be expected to meet the KPI targets that will be set in your monthly business review. Annual revenue targets will be set, and you will be given monthly feedback on your performance from your manager during your monthly business review. To be successful and achieve the goals, you will need to be resilient, resourceful, positive and prepared to go the extra mile.